He has seen it all: injuries, elimination from group stages, winning a World Cup and multiple times the Serie A, tears of disillusion and tears of joy. 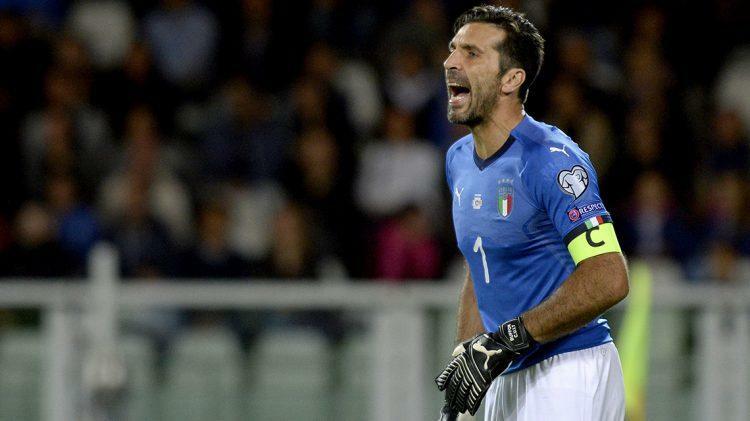 But of all highs and lows that Italian goalkeeper legend Gianluigi Buffon has gone through in his 20-year career as national goalie, the honour of wearing the famous blue outfield player’s jersey of the Italian National Team had not been bestowed upon him. 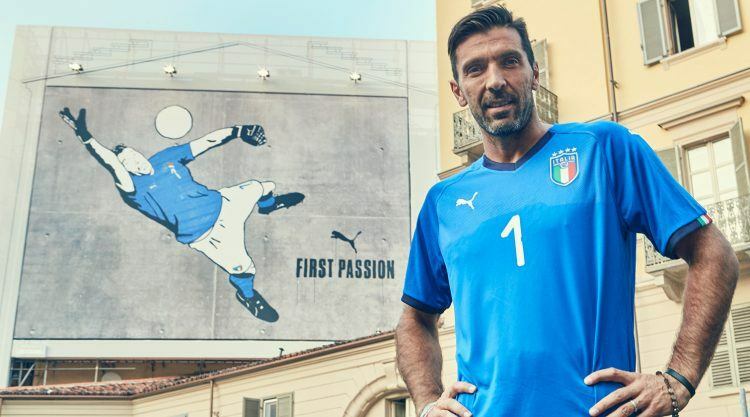 Until last Friday, when PUMA decided with the FIGC to honour one of the greatest living legends in the match against Macedonia: while his teammates wore the white away jersey, Buffon’s long-time wish came true and he got to wear the blue kit. 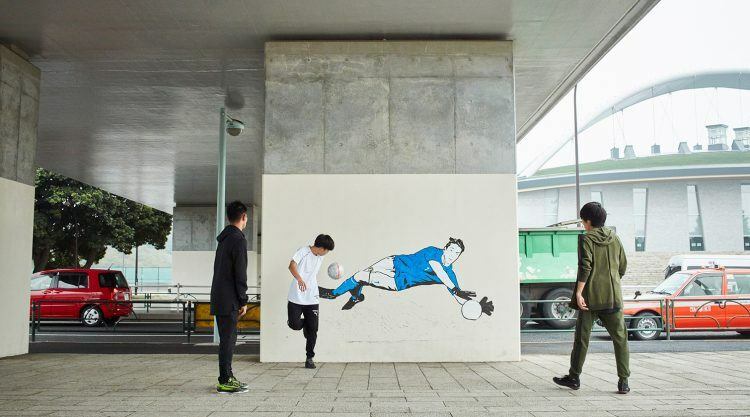 A tribute that has never been seen in football before. 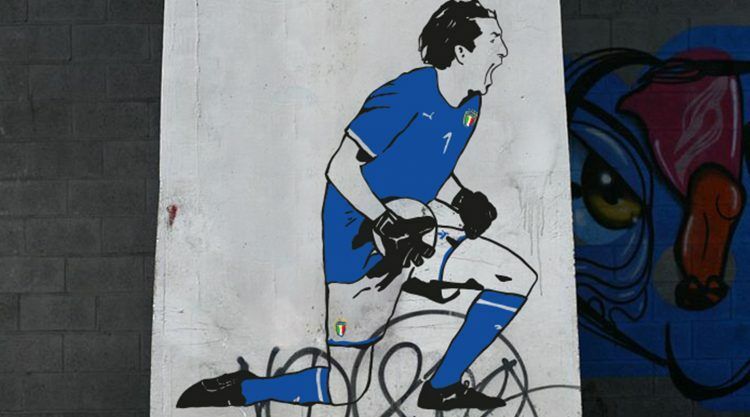 The tall, dark-haired captain of Italy has become a legend in his home country, an inspiration for goalkeepers and undoubtedly an icon on and off the pitch. To the day twenty years ago, Buffon played his first international game for the Italian “Squaddra Azzurra” on October 9th, 1997. In March this year, he played his 1,000th professional game. With the upcoming World Cup 2018 in Russia, he could become the first footballer to take part in six World Cups. 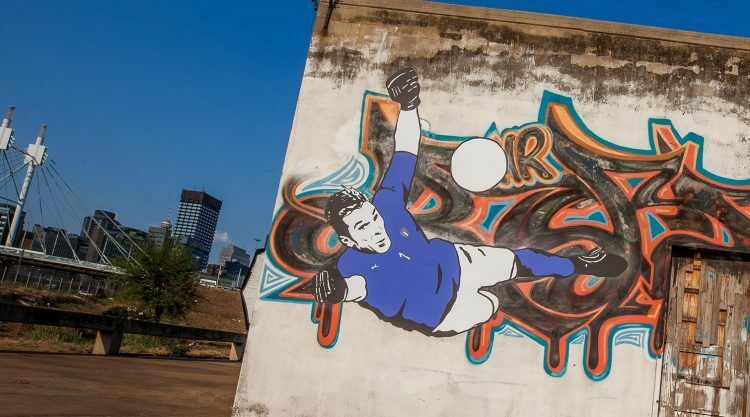 To celebrate this 20th anniversary, PUMA requested the talent of ‘Kamp Seedorf’, a group of artists specialized in graffiti and football culture, to set Buffon’s name in stone in their own unique way. 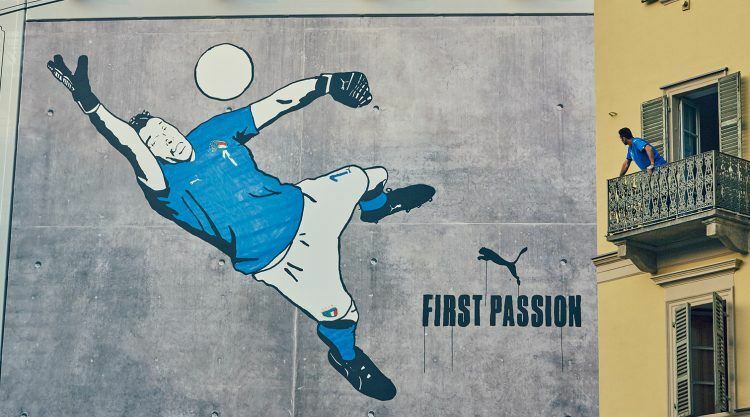 In each country where Gigi has played or will play a World Cup, such as Paris, Tokyo, Berlin, Johannesburg, Sao Paulo and Moscow, huge murals representing Buffon wearing the blue have been revealed. 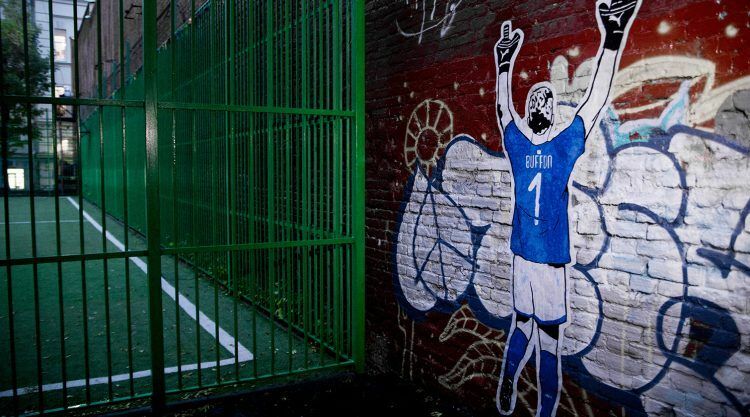 Prior to Friday’s match, Gigi unveiled the ultimate mural in Torino. 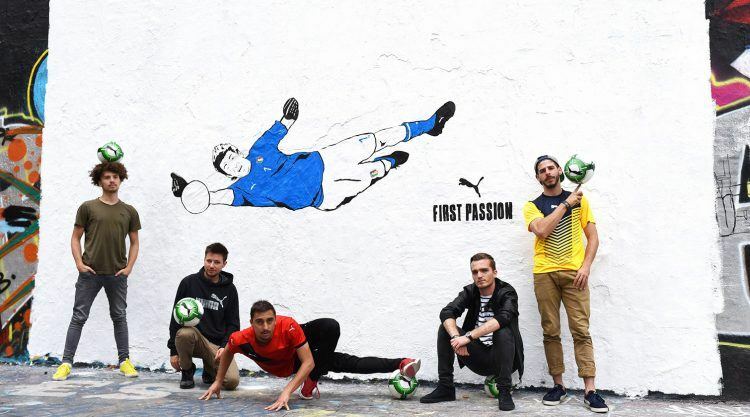 PUMA FOOTBALL and the Italian Football Federation FIGC revealed the new 2018 Italy jersey together with Gianluigi Buffon as he unveiled a giant mural of himself by street artists Kamp Seedorf in Torino. With its new FIGC badge, the new Italy shirt is designed to invigorate memories of great Italian sides past with references to the ‘Il Tricolore’ on the sleeve cuffs and under the back of the collar. The shirt has also been designed, using PUMA’s highly developed evoKNIT Thermoregulation technology, an enhanced moisture management and adaptive cooling system that helps create the perfect on-pitch body temperature. Combined with its seamless construction, the jersey offers the ultimate in fit and mobility for optimum performance. Engineered cooling fins in key zones on the shirt act as channels regulating body temperature, whilst dryCELL technology provides moisture management across the fabric with high performance yarns that wick sweat away from the body. All this is packaged into the seamless evoKNIT construction of the shirt that provides a lightweight ‘second skin’ feel so the fabric moves with the body and not against it, allowing for better freedom of movement on the pitch.